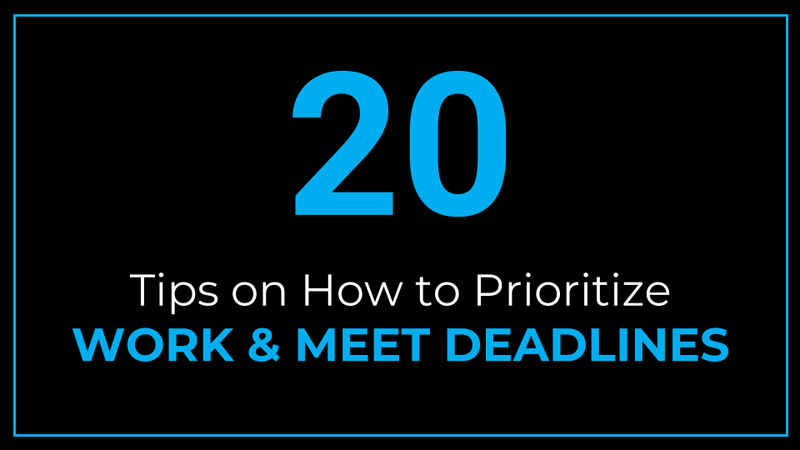 This article walks you through great tips on how to prioritize work and meet deadlines. Prioritization entails identifying what should be done first out of an ocean of competing priorities. When everything seems like a top priority, when you are constantly rushing to finish your work and when you are stretched too thin, it could be difficult to choose what to do at a particular time and what to do later. It takes planning and effort to decide what should be handled first and also coming up with a sequence or order for doing things. Prioritization helps when faced with an overflowing to-do list and constantly moving targets. Mastering time management is improved through trial and error before you settle down to a comfortable rhythm where you can manage your workflow efficiently and complete more work. When you are accomplishing your tasks effectively, it gives you peace of mind, personal satisfaction and improves your reliability and credibility in the workplace. You can quickly skim all the 20 prioritization tips on the table of contents below then click on any tip to read further details. Please enjoy reading. Thank you. The first logical step before beginning a prioritization exercise is to list down all the specific tasks that you want to do. This gives you a big picture overview of your workload from day-to-day. On your to-do list, write down all the daily tasks that you hope to complete. In addition, list down both short-term and long-term activities that you need to complete. These can include items to be done within the next week, month, quarter, year or beyond one year. Identify the due dates for the tasks on your list, these can also be written in parenthesis. A simple to-do list can have four columns showing item numbers, tasks, due dates or deadlines and priority levels. It is important to maintain an up to date to-do list and also to keep an electronic back-up of your to-do list. Your master to-do list serves as a running log of what you need to accomplish over time. Since a master to-do list can change rapidly, it is easier to manage and regularly update it in electronic format. A good practice is to update a to-do list at the end of each day where you delete items that have been completed and add new tasks to work on. This also gives you a preview of what the following day’s schedule would look like. If you are not able to update your to-do list in the evening, the next best option is to update it first thing in the morning when you get to work. Helps you to keep track of everything that you need to work on. Helps you to stay organized and manage time. Aids our memory so we don’t have to struggle to remember everything we need to work on. A good reminder for recurring or repetitive tasks. Improves efficiency and increases productivity. Personal satisfaction when tasks are accomplished. What will happen if you don’t prioritize your work? Do you feel as if you are always putting out fires and everything needs to have been done yesterday? Do you feel as though you don’t have enough time to finish your to-do list even when working as fast as you possibly can? It can be overwhelming trying to complete everything on your master to-do list in a single day. To help you to properly manage your time, the next step after preparing a to-do list is to prioritize your tasks where you select what should be done first or immediately and why it should be done. Prioritizing helps you to visually see the highest to the lowest priority tasks. Prioritization is an ongoing activity; it can be done once a day and sometimes even multiple times a day as priorities change during the day. Constantly keep an eye out on the deadlines of each task when prioritizing your work. Some work needs to be started well in advance of a deadline to complete it. Some other types of tasks require input from others hence build in enough time on your schedule and a buffer for possible delays. Below are a few questions and considerations to take into account when setting priorities and also when evaluating your progress. What are the consequences if the task is not done? When should you start working on the task? What resources and inputs do I need to complete this task? What has not been done that should have been done? What tasks have I completed? What is the outcome when a task is completed? What am I constantly postponing on my list? Why? What should not have been on the list in the first place? How can I shorten my to-do list? Is this to-do list relevant anymore? From time to time re-write a fresh master to-do list at least every month or two. An easy method for prioritizing tasks is ranking using simple ABC priority levels namely: category A (do it now), category B (do it soon) and category C (do at leisure). Where items in category A have to be completed immediately (do it now), items in category B can wait for now but should be done soon (do it soon) and items in category C can be done when you have downtime or when time permits (do at leisure). Items in category A are high priority items – things to be done first including those with immediate, urgent or closest deadlines and the most important projects with highest returns and significant consequences if not done. Items in category B are medium priority items which have later deadlines. These items transition to category A items as the due dates approach. It is important to start working on portions of medium priority items over time so that they can be ready when due. These can include long-term projects which can be done over a longer period of time such as writing an annual report or planning a conference. Items in category C are low priority items which have low consequences if not done or if not done now i.e. things I would like to do when time permits. As mentioned earlier on Section 1, a simple master to-do list can have four columns showing item numbers, tasks, due dates or deadlines and priority levels. Two simple ways of managing your priorities so that you don’t end up with too many lists is firstly to add the rank next to tasks on your master to-do list. Then you can sort your list by priority level. A second way is after you have ranked items on your master list, you can then extract the high priority items every day and put them on a small list for the items that you will work on within a particular day. Keep your priorities in front of you and look at the list regularly throughout the day to ensure nothing gets forgotten. This is your daily compass. Updating your master to-do list by deleting items completed each day and adding new tasks. Updating the priority levels of tasks. Extracting the key items that you will work on the following day. Organizing your top priorities in the sequence or the order that you prefer to handle tasks during the day. The thought of handling a big task or project all at once can be overwhelming that is why it is a good idea to break up large projects into more manageable components then start working on one small step after another. Breaking down projects helps to keep sight of future tasks that need to be started early on to meet the due date. For example if you are preparing an annual workshop, it can be split up into milestones such as preliminary activities to do be done 9 months before the event, activities to be done 3 months prior to the event, activities to be done one month prior to the event, activities to be done on the actual day of the workshop and post-event activities or tasks to be done after the event has ended. Under each milestone, there will be a specific list of either one-off or recurring items to be handled. As you handle each small task one after the other, slowly and surely it lays the foundation for the preparation and execution of a successful event. Similar to how laying one brick after another helps to build a house, likewise when milestones are paired with mini deadlines, and when achieved, they cumulatively lead to the accomplishment of a larger task or project. Estimating the time and effort it will take to do a task helps in organizing your priorities and enables you to have a realistic plan regarding what you can possibly tackle in one day. When a list of priorities is too long and is frequently not completed, it can cause frustration over time. Trying to do too much at once could have the opposite effect in terms of overpromising and missing deadlines, redoing work to fix mistakes, declining productivity, being anxious and experiencing burnout. The more realistic the to-do list is the better. Ideally, planning for daily priorities should capture how much you can do within the available time taking into account your normal working pace or speed. It could be hard to accurately estimate how long it would take to do a task that you have never done before. You can rely on your best estimate and also inquire from others who have done it how long it would typically or reasonably take. For tasks that you have done before, you can be able to determine from your past experience how long it would take to finish a task and conversely how many tasks you can complete within a day. Setting realistic expectations helps to build and preserve your reliability and credibility. In addition, it not only meets personal expectations but also meets expectations of your boss, team members and others. Visualize what the final outcome will look like for each task you do. Plan to work on similar tasks together. Endeavor to start and work on a task until it is finished. Schedule time to do work on your calendar. Do one thing well at a time. Build momentum by moving from one completed task to a new one seamlessly. Start work on your priorities early enough to avoiding rushing at the last minute to meet deadlines. Take small breaks to get rejuvenated. Follow up on delegated work. Commit to completing your tasks. Anticipate challenges that you may encounter. If needed, have an accountability partner who helps you to stay on track in meeting your priorities. Many tasks at work are driven by deadlines. Deadlines help in managing priorities and also give a roadmap on how much time you have to complete a specific task. This helps one to adjust their effort and speed accordingly. Deadlines create sustained pressure to perform which is released when the deadline is met. They also stimulate action aimed at either meeting or beating the deadline. When given a project to complete, begin by analyzing the work required and identify if you have all the information and resources to successfully complete the activity. Seek any clarification early enough to ensure that you fully understand the work requirements. Visualize the steps needed to reach the end goal, develop your outline, roadmap or strategy, divide work into smaller tasks and begin working on it piece by piece. When met, deadlines help to track and measure progress and accomplishments. When scheduling your tasks give yourself early completion deadlines – these act as a buffer or contingency for unforeseen emergencies, last minute adjustments and provide time to polish up the final output. Maintain a running list of all external firm deadlines – update the list regularly. Regularly look at and adequately prepare for upcoming deadlines. When working with others on an activity, send regular reminders to all regarding forthcoming deadlines. Take note of specific deadline submission details such as person to send the final project to, format of final work, means of delivery, due date and time plus time zone differences. Interruptions are an inevitable part of the work day. Too many interruptions can take a toll on your productivity and eat up valuable time that could be channeled towards your priorities. Typical interruptions include emails, telephone calls, text messages, app notifications, instant messages, browsing, frequent meetings, chatting with colleagues, colleagues talking loudly and constant traffic especially if your desk is close to shared printers and photocopiers. When you get interrupted, you lose your momentum and it takes time to get back to a steady working pace or rhythm. When you are regularly starting and stopping a task because of interruptions, it can cause frustration and increase the amount of time needed to complete a task. Assess what kind of interruptions you face frequently. Find out if there are specific patterns and come up with solutions to keep the interruptions under control as best as you can. For example if it is a specific colleague who is always dropping by to chat or you are being pulled into meetings that are not relevant. It is important to note that not all interruptions are bad; you could be getting or receiving important information that can aid you in completing your priorities. Conversely, you could be saving someone from making a grave mistake by simply listening to their request and offering a quick response. Turn off notifications for emails, voicemail, apps, instant messages, text messages etc. When interrupted by someone, quickly listen to what the request is to determine the urgency. If a request will take time to process, request to talk later and actually follow through. If you can quickly address the request, give your answer and get back to your priorities. Let your colleagues know when you are working on a time-sensitive deadline to give you some space. Share your schedule or calendar to keep others updated on when you are busy to help them identify a better time to talk when you are available. Check and respond to emails and voicemail at specific intervals. If approved, work remotely – utilize a work from home day to complete an urgent or detailed project. Work in a quiet location in the office. Attend meetings where you can add value. In as much as we would like to confidently handle all our tasks without a hitch, there are moments when this is not feasible. From time to time one needs help in executing tasks. The key thing to keep in mind is not being afraid of requesting for help when it is needed. It is better to ask for help than to miss critical deadlines that could have an impact on your performance, reputation and the company. To make it easier for others to help you, regularly invest in helping your colleagues as well. It creates goodwill. Always remember to sincerely thank anyone who helps you. Be specific regarding the kind of help that you require. Ask for help in good time not at the last minute when a deadline is almost up. When asking for help, outline what you have done so far. Mention any approaches that you have tried that didn’t work to help save time and prevent others from doing similar methods or mistakes. Be available to answer clarifying questions from the helper. Identify colleagues who are most likely to provide the needed help and expertise. Clearly point out when the task is due so that everyone is working towards the same deadline. If you have delegated work to others, follow-up at specific periods to ensure everything is progressing well. When seeking advice from others, listen keenly and take notes so that you can remember what to do the next time you face a similar problem. If you are struggling with making a decision, come up with a few choices and present them to your boss to guide you on the best option. A long-term strategy entails working with a mentor who can guide you in your job and you can benefit from their years of experience. Similarly, network widely within your company with colleagues from other departments to get to know them, learn what they are doing and even collaborate on interdepartmental projects. In the absence of an agenda, a meeting can easily veer off in many different directions and waste attendees time. When planning a meeting, an agenda helps to prioritize the important items to discuss. An agenda also acts as a compass in guiding discussions to ensure that the meeting time is utilized efficiently. Aim to send the agenda and any background materials at least a few days in advance to meeting participants. Bring enough copies of the agenda to distribute during the meeting. Similarly encourage others to develop agendas for the meetings they convene. When requested to attend a meeting, ask for an agenda. This can also help in weeding out unnecessary meetings which you don’t have to attend. By reviewing the agenda you can determine the value of a meeting and whether your input or participation is required, thus helping in prioritizing your time. The title of the agenda. The purpose or objectives of the meeting. Time for the meeting (starting and ending time). List of participants could also be included as an option. Items to discuss listed in order of importance. You can also include the approximate allotted time for each meeting item. An additional step is to include the name of the person who will be discussing or leading a specific item on the agenda. If some participants will be joining remotely, the agenda can include dial-in/conference call information. Critical components for getting along well with your boss and other stakeholders include regular communication and providing status updates. This is typically achieved through regularly scheduled check-in meetings with your manager and also through meetings with others. The reporting of status updates can be achieved through various modes such as an email update, a telephone conversation, a text message, an instant message, weekly status update reports, a summary progress report, a detailed progress report, a morning huddle meeting, a presentation, a site visit etc. Make an effort to regularly provide relevant stakeholders with progress updates on the tasks you are working on, tasks completed, upcoming priorities, challenges, solutions, feedback and address any questions raised to ensure that all parties are on the same page regarding expectations. Frequently updating others especially your immediate supervisor helps to get your work and efforts noticed and sets you up well for a track record of consistent performance during performance evaluation period. In addition, status updates give your manager peace of mind because they know how things are progressing at regular intervals. 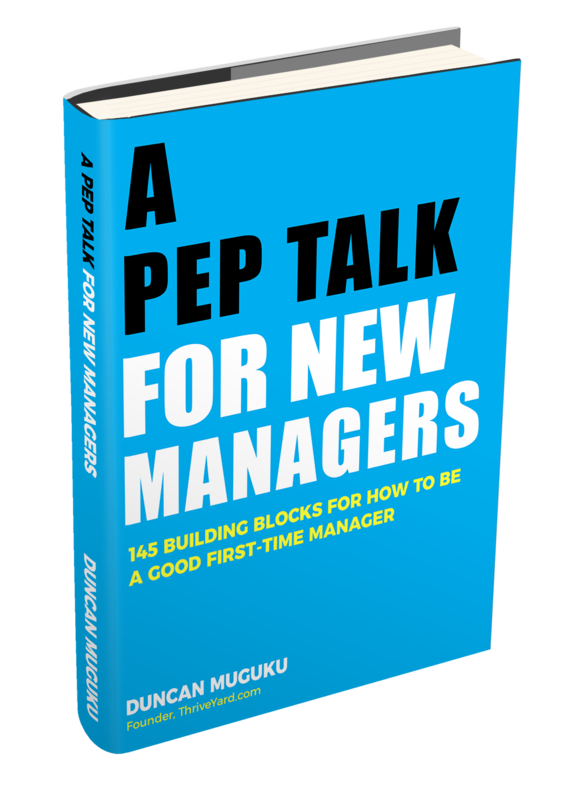 How can you help your manager to succeed in their role? Generally, some bosses are much easier to work with than others. To a great extent, job success and personal satisfaction at work depends on the kind of relationship that you have with your direct supervisor. Your boss can help you to grow in your job and advance within the company. Having a good working relationship with your boss can motivate you to look forward to going to work each day. One way of nourishing and strengthening your professional working relationship with your supervisor is by learning their priorities and helping them to manage their priorities. Discussing and seeking alignment between your priorities and your boss’s priorities – conducting regular alignment meetings. Helping them to be more organized. Learning your supervisor’s short term and long term vision for their role, team, department etc. Gaining an understanding of how your manager defines and measures success at work. Learning your boss’s preferred method and frequency of communication. Proposing alternative solutions to problems. Volunteering to help in tasks that others avoid. Keeping your boss well informed. Being open minded to suggestions and feedback. Letting them hear from you about your mistakes and proposed solutions before hearing about it from others. Having initiative and going the extra mile. Representing your boss in meetings and events. Increasing your skills and knowledge through trainings. Developing in-depth knowledge about the company. Reporting back on key discussion points from important meetings you attended. Paying attention to detail and managing little tasks well. Getting along well with others. Helping and collaborating with team members. Helping in planning and executing the departmental priorities. Training and mentoring new hires and interns. A to-do list can have a mixture of short-term and long-term priorities. Short-term priorities have a small window before they are due or should be completed ranging from a few minutes, to a few hours, to a day, a few days, a week, a month, a quarter up to one year. Long-term priorities have a longer time frame such as more than one year to complete. Examples of long-term priorities include writing a bi-annual project report, planning a workshop, conference or event, annual budgeting and implementing a new system. Clearly list down what you want to achieve. Ascertain the date the priority should be completed. Find out the resources needed to complete the activity. Determine small milestones that you can complete along the way to draw you closer to accomplishing the end goal. Estimate how long each step or phase will take. Who else will be involved in accomplishing the priority? What challenges are you likely to encounter? How can you overcome the challenges? Be ready to make adjustments to your original strategy as needed – be flexible in changing methods if they don’t work as envisioned and keep improving your tactics. Get started on the work as soon as you can and build momentum. Track your progress at regular stages. Give yourself a buffer or cushion at the end, aim to complete the work a bit early to allow time for reviews or corrections. Different people have different ways of managing priorities. Some people are able to get more work done in a day than others. It is a good idea to talk with colleagues especially the high performers to learn the tips and tricks that they use to keep their to-do list under control and achieve more results. What system do you use to prioritize your work? What apps do you use to stay on top of your tasks or to be more productive? What typical challenges do you face in meeting deadlines? What do you do when a deadline is suddenly cut short? How do you manage to stay focused all day? What are the best practices that you recommend for managing priorities? How do you manage interruptions and distractions? What advice can you share for staying productive all day? As you work over and over on a specific task, activity, process or project, there could be opportunities or areas for making improvements and increase efficiencies. One of the questions to ask is how can we shorten the process or project cycle without compromising output? Streamlining processes could help in efficiently utilizing your time and resources to achieve the same goal. An initial step in handling repetitive or routine processes is by mapping out all the steps required to complete an activity. This can be captured through standard operating procedures coupled with checklists. Then look for areas to eliminate or consolidate steps where possible and with proper authorization without compromising the final output. Time savings can also be achieved by preparing templates such as weekly report templates, progress report templates, to do list template, budget template, standard operating procedure template etc. Additionally, preparing standard responses for commonly asked questions, or preparing a frequently asked questions list and answers helps to save time in the long run. Implement quality control checkpoints such as kickoff meetings at the beginning of major projects to explain requirements, deadlines and reporting needed to ensure everyone is on the same page before proceeding. At the tail end of a process, conduct postmortems or lessons learned when a project is finished to explore how to improve the next project. Areas for improvement can include better communication to ensure that everyone is on the same page regarding expectations, frequency of team meetings and working on improving turnaround or response time. Other areas for improvement entail undergoing training on better methods and using software to improve and automate processes. On the one hand managing perfectionism is about knowing when to step on the brakes once you have reached a destination instead of keeping on driving. On the other hand managing procrastination entails pushing yourself to step on the gas in order to arrive at a desired endpoint. Perfectionism is the craving, desire and practice to keep making something better and better. It can be manifested through extremely high personal standards of excellence such as one should never make a mistake or fail. The desire for perfectionism can stretch the amount of time spent on an activity in the quest of making it perfect to the detriment of eating up time for doing other competing priorities. The desire for perfectionism can likewise slow you down and lead to indecision and spending too much time on a simple task, not knowing or being able to stop working on something and getting so caught up in polishing details and over processing. Steps for managing perfectionism include being flexible, learning what the acceptable norms and standards are for completed work and using this as a guide to strive for, giving a task your best effort then let it go, shipping out a task when it is ready, has met an acceptable standard and is good enough then move on to the next task. On the opposite end of the continuum, perfectionism can similarly hinder meeting deadlines where one believes that it would take too much time and effort to complete an activity according to their desired standards that they simply postpone doing the work or even avoid it until there is no choice but to do it and typically when much time has elapsed causing a frantic rush to complete it. Procrastination can cause a to-do list to have a specific set of tasks that are ever present and keep rolling over from one to-do list to another constantly weighing you down from the knowledge that you have so much pending work which has to be tackled at some point. Procrastination can be revealed through the habit of continuously putting off tasks that you dislike doing and doing things at the last minute – where you are scared to start or not motivated enough and are simply avoiding tasks until you have no choice but to do them because the tasks won’t go away on their own. As mentioned earlier, procrastination can likewise be caused by perfectionism, where you put off work because it will take too much time to complete it to your desired standards. Get rid of the misery brought about by procrastination by taking an inventory of tasks that you regularly avoid, analyze why you don’t enjoy doing them, break them down into smaller parts and push yourself to attack each piece within a specific timeframe and keep repeating this process until the large activity is completed. Build up momentum as you finish one small task after another, you might fail a few times however over time you can get into a steady rhythm. There is a sense of relief in completing tasks that we have procrastinated on. Let this sense of satisfaction spur you onward to complete all pending tasks on your priority list. Part of the roles of a supervisor, manager or team leader is to plan and prioritize work for others to accomplish departmental or organizational goals. To the greatest extent possible, involve your team from the beginning in the development of timelines and deadlines. Get ideas from team members and learn what is on their plates/current workloads. Make the team aware about the importance of meeting the deadlines and how they impact or support the department or company. Prepare and communicate priorities and timelines. Ensure that everyone understands the tasks, timelines and deadlines. Be available for any questions and feedback; encourage team members to ask questions when in doubt. Check-in regularly on the progress. Regularly remind the team about the big picture, shared goals and why it is important to achieve them. Acknowledge efforts, genuinely praise and thank the team members on accomplishing milestones. In case of noncompliance to agreed-upon timelines, find out why processes were not followed. Implement corrective action and processes to ensure past mistakes do not recur. When deadlines and priorities change at a moment’s notice, it can have the potential of throwing your well-laid plans into disarray. It could increase your workload and heighten pressure to perform to meet tight deadlines. Being flexible and adaptable is critical in navigating scenarios where the goal posts have moved. Aim to change gears as smoothly as possible despite the limited time to make adjustments. When deadlines are shortened, there is simply less time to complete the work and more effort needs to be expended. When priorities change, it requires one to stop focusing on what they were doing or put it aside and focus on another task. Deadlines and priorities can shift or change because of many factors such as a client request, your manager or upper-level managers requesting that work be submitted earlier than scheduled, the scope of work might increase or decrease, a project might get cancelled or other activities or projects can end up taking more prominence. Keep your cool, stay calm. Gain a good understanding of the requirements and desired outputs for the new priorities. Work with your manager to prioritize the new project or deadlines and reprioritize existing work. If possible, renegotiate an extension for existing deadlines to accommodate the emergency priorities. Identify the best way to complete the new tasks as quickly and efficiently as possible. Breakdown the work and begin handling it immediately. If necessary, ask for help in meeting tight deadlines including delegating to others. Whenever possible, politely seek to understand the need for the changes in deadlines or priorities. Work closely with other team members who are critical in ensuring new deadlines are met. Observe how other colleagues handle sudden changes and learn their best practices. There are many reasons why deadlines are not met. Regularly missing critical deadlines can have negative consequences and impact on an employee, team, boss and even the company. Failing to meet deadlines can have a chain reaction effect whereby when you miss a deadline on one activity it can delay your other tasks. Likewise missing a deadline on a team activity can delay others who are waiting for your input to complete their tasks. Fear of failure and fear of not meeting the deadline. Procrastinating, continuously postponing work that needs to be done. Starting the work late and rushing to finish it. Work is caught up in red tape such as waiting for review and approval. Waiting on input from others. Underestimating the amount of time needed to complete an activity. Not understanding the requirements of a task or how to do the work. Inadequate information to complete tasks. Not taking the deadline seriously. Work done the wrong way and needs to be redone. Lack of resources including budget cuts. A deadline focuses action like a laser. It helps in managing time effectively. When you deliver work on time, it increases your motivation to meet even more deadlines. A sense of accomplishment and personal satisfaction after meeting a deadline. Finishing work on time creates an opportunity for doing quality control, review and correcting any errors. It creates room for improvement and input by yourself and others. 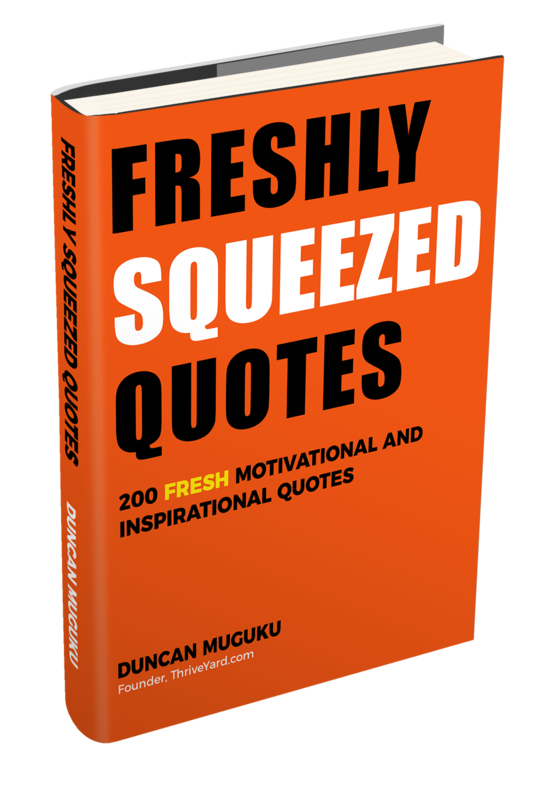 Increases your output and productivity, you accomplish more work. Makes you dependable. 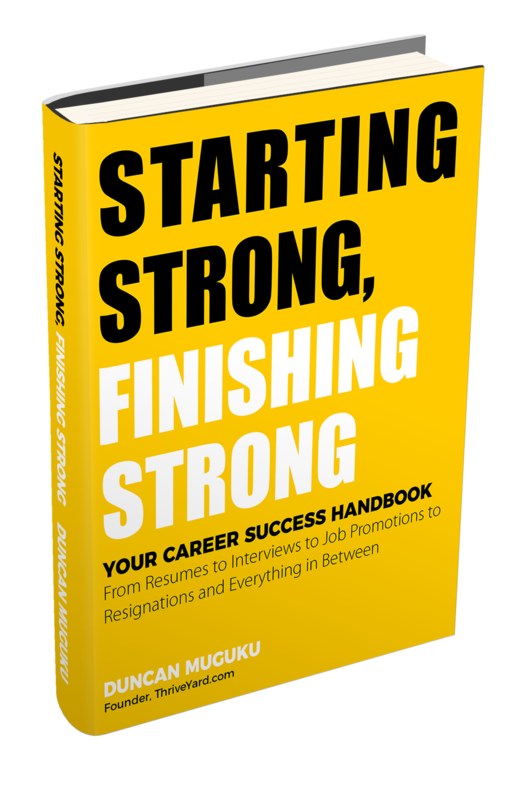 Builds your personal credibility and reputation and earmarks you as a reliable employee. Deadlines provide a definite end date for an activity, milestone, goal or project. Deadlines enhance focus. They provide direction and keep you on course. Helps to reduce or eliminate distractions. Strengthens team work and accountability where your team members know that they can rely on you to do your part. Meeting deadlines can help in conserving and saving resources such as staying on budget and avoiding cost overruns from working extra time. Keeps internal and external stakeholders happy including bosses, team members, customers, suppliers and vendors. Despite our best intentions to meet deadlines, there are moments when we fail to meet them. Sometimes it is our fault and at other times it could be due to external situations or even unavoidable circumstances. It is a discomforting thought when we see a deadline approaching and we are unable to meet it. The worst case scenario is completely forgetting a deadline. Apologize for not meeting the deadline. Give early warning on possible delays. Offer a mitigation plan on how you will accomplish the required task. Present or deliver the portion of work that is already completed. Request for a deadline extension. Ensure that you meet the extended deadline. If you forgot a deadline in the first place, own up to the mistake, ask for forgiveness and offer a solution. Push yourself hard to turnaround the work as fast and accurately as possible. If necessary, ask for help in meeting deadlines. Use the lesson learned as a future learning opportunity to avoid mistakes from happening again.